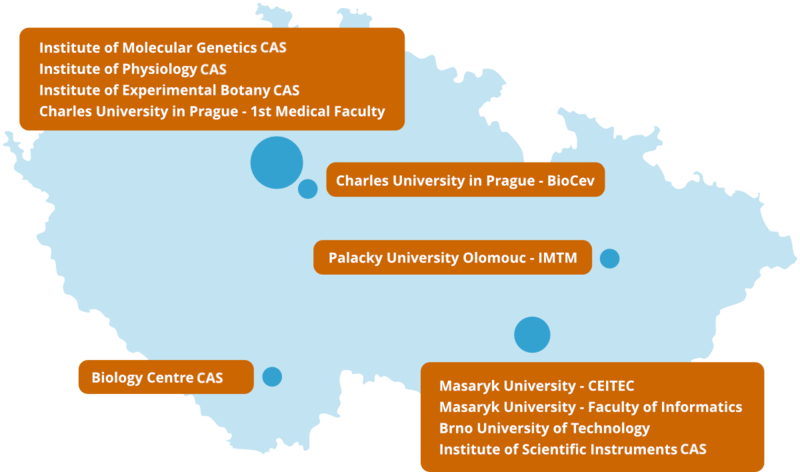 Czech-BioImaging is a national research infrastructure for biological and medical imaging. It is a distributed infrastructure of leading imaging facilities in the Czech Republic. The infrastructure provides an open access to a wide range of imaging technologies and expertise to all scientists in the Czech Republic and from abroad by a unified and coordinated logistics approach. to support mutual cooperation of scientists and sharing of best practices and knowledge. Czech-BioImaging is included in the Roadmap of Large Infrastructures for Research, Experimental Development and Innovation of the Czech Republic for the years 2016 - 2022.